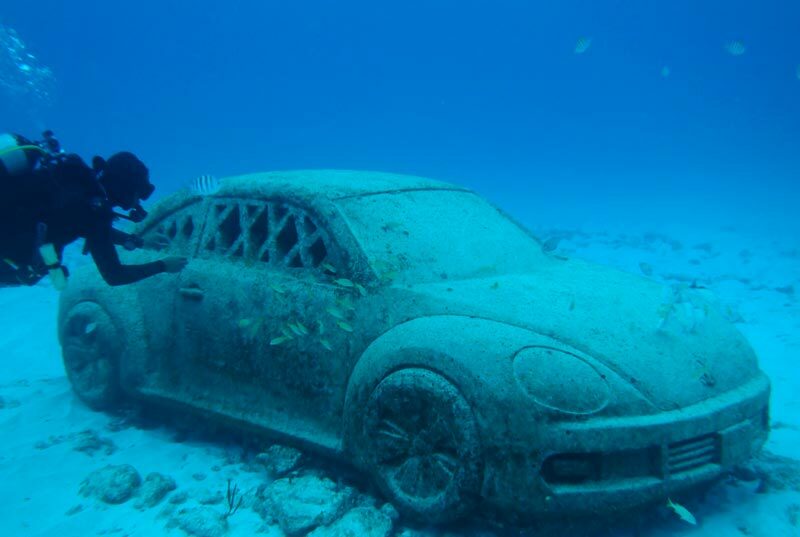 Scuba Diving in Cancun is a dream for a lot of people around the world. 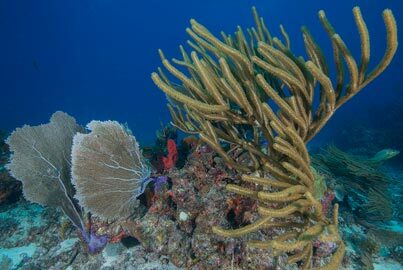 The crystal clear water, the full-of- life coral reef and abundant colorful fish make Scuba Diving a must do thing to do in Cancun. No experience, no problem! Our dive shop has more than 25 years of experience and they will make you feel very comfortable and safe in your Scuba diving lesson or in any of the plenty options for certified divers. 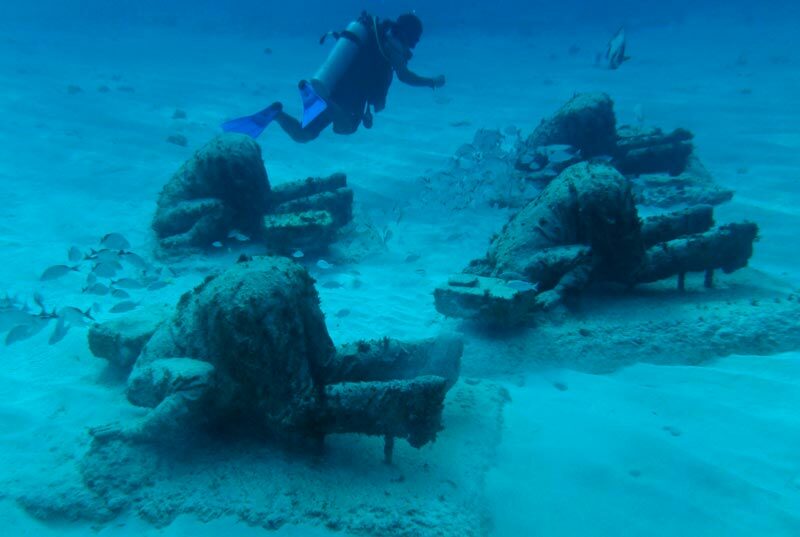 The best scuba diving in Cancun is waiting for you, book it now! 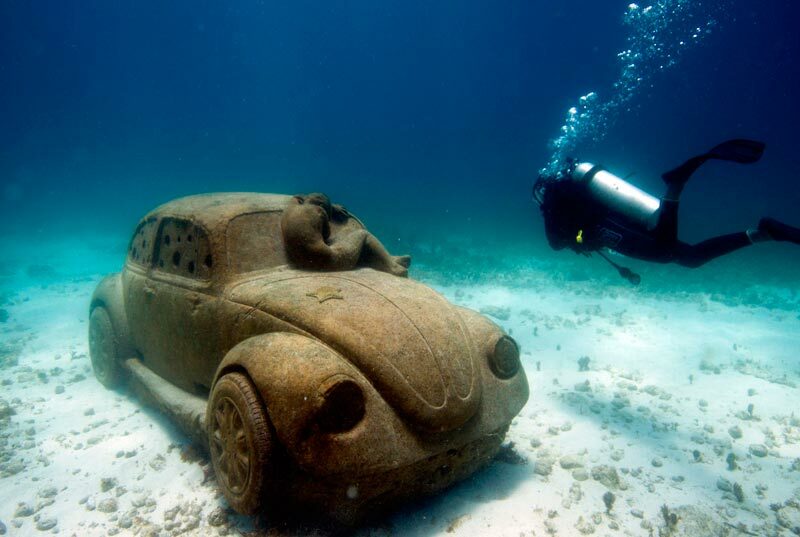 Experience the underwater world for the 1st. time. 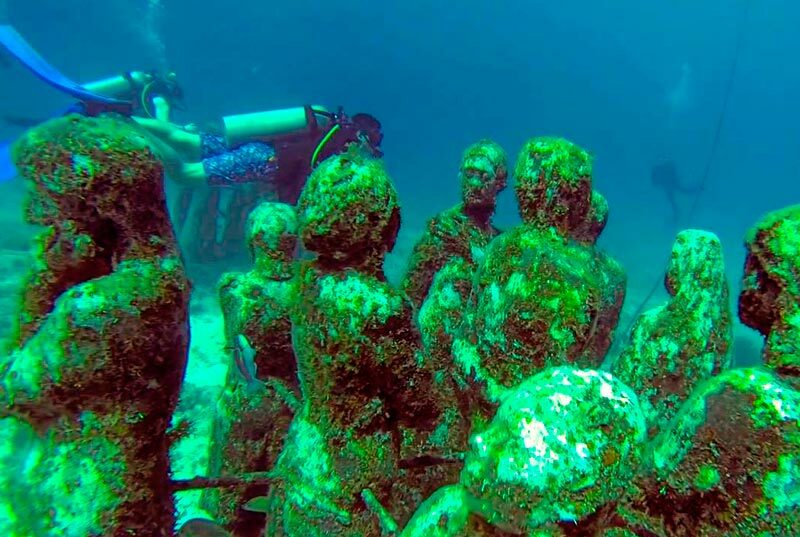 This program was designed by PADI instructors with more than 25 years of experience in Cancún. 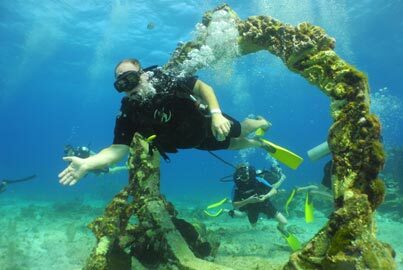 Receive theoretical and practical class where you will learn to use scuba equipment (BCD and regulator) in shallow water. 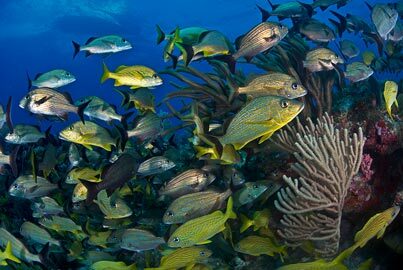 Then, visit a beautiful reef located just 5 minutes from the pier. 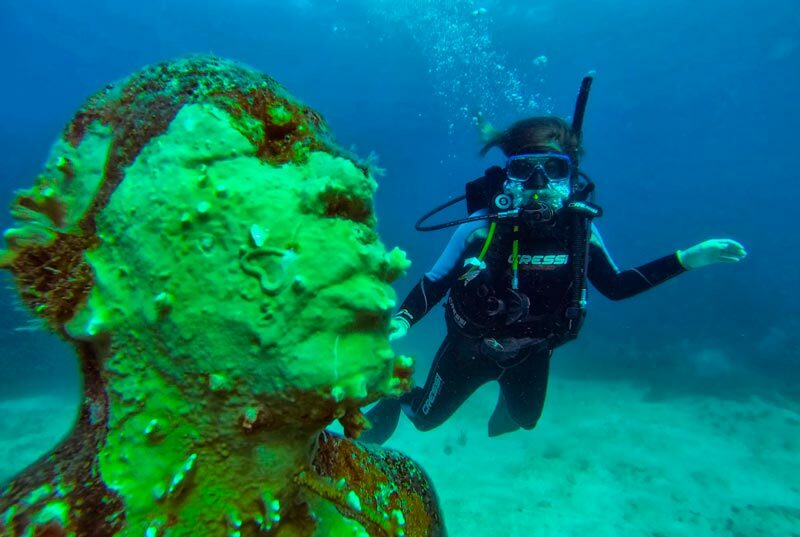 The best choice for your first time diving, book now! Diving lesson with duration of 2.5-3 hours. 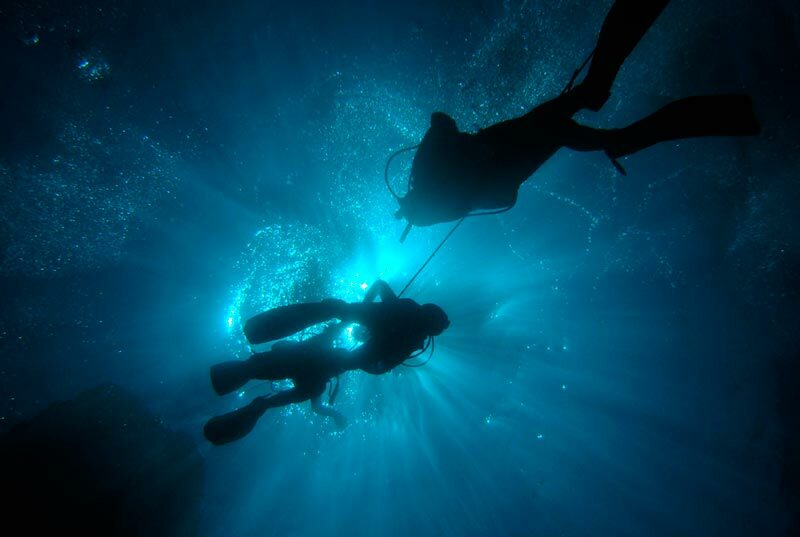 Theoretical lesson by a professional PADI instructor. 2 tanks: Practical Lesson (1 tank),1 dive on reef (1 Tank). Marine park''s conservation fee not included ($ 5.00 usd. per person). Excludes wetsuit (optional rent for $ 10.00 usd). Not available to people with asthma, sinusitis, epilepsy, high or low blood pressure, pregnant women, hypertension, diabetes, heart or respiratory tract (ears, nose, lungs). You can not dive and fly on a plane the same day, please take precautions. 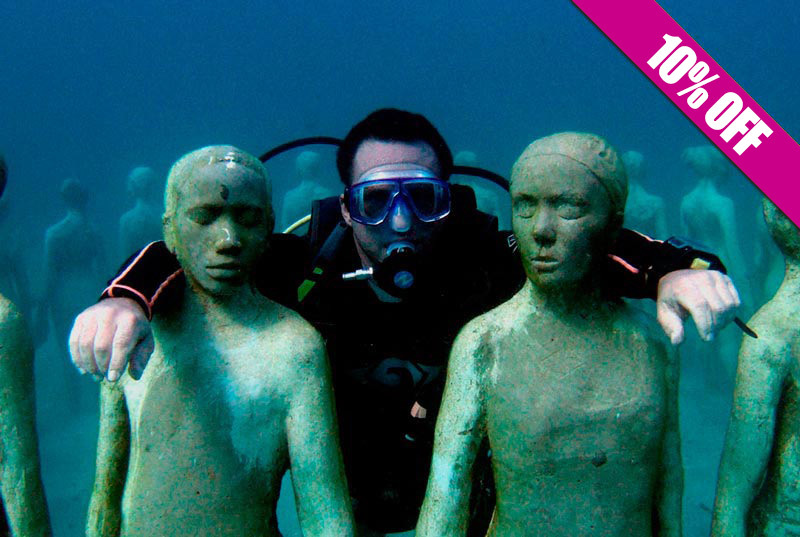 The best service and special price for any certified diver looking forward to know MUSA (Cancun's Underwater Art Museum). 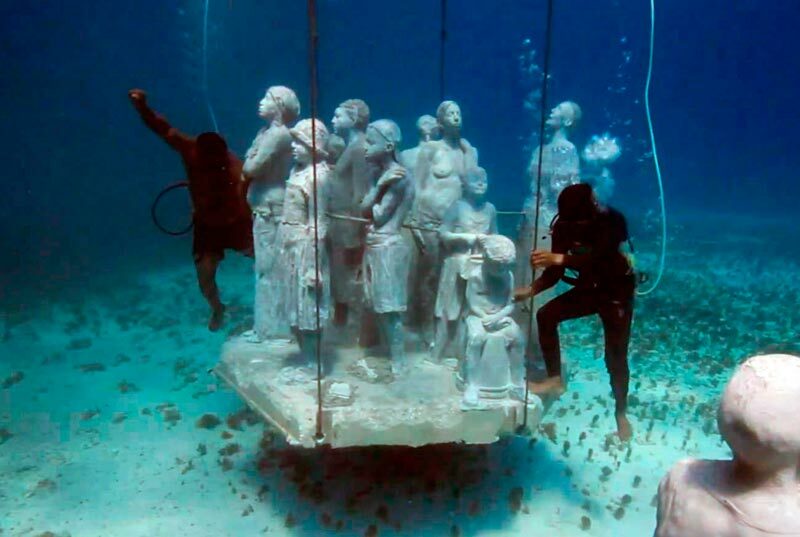 Admire more than 460 Jason DeCaires Taylor's statues diving at a 24-36 feet depth. This tour includes all the equipment and 2 tanks. 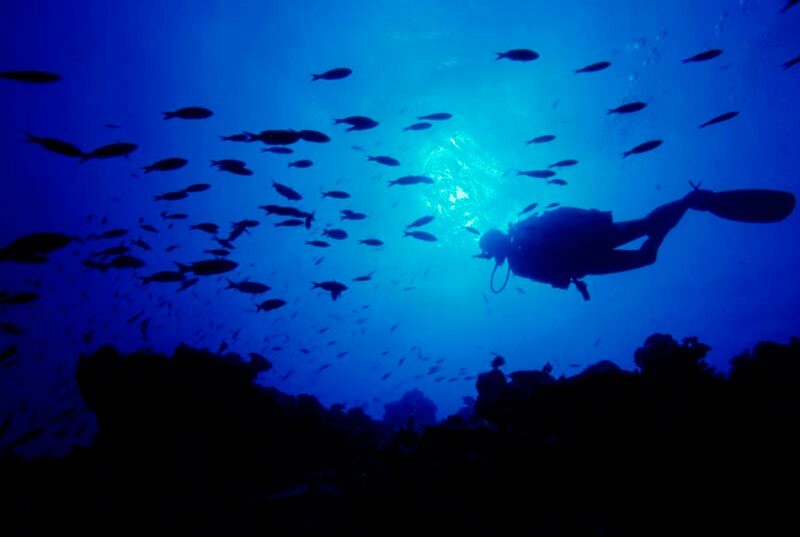 Official diving credential is required(PADI, NAUI, SSY, CMAS). Our dive shop with 25 years of experience guarantee you the best service, book now! Dock fee is not included ($ 3.00 USD). Must present official diving credential (PADI, NAUI, SSY, CMAS). 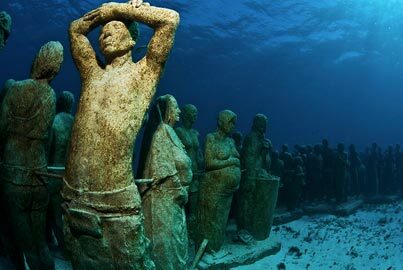 What a better place to receive your first diving lesson than in the Sub Aquatic Art Museum (MUSA) in Cancun. 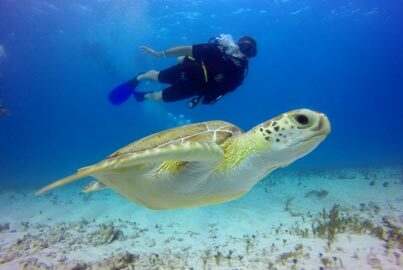 Program designed by PADI professionals, ideal for beginners.Your lesson includes 3 tanks: 1 used on shallow waters where you'll learn how to use the scuba equipment and basic diving exercises, 1 used diving in MUSA, and 1 used on Manchones reef. 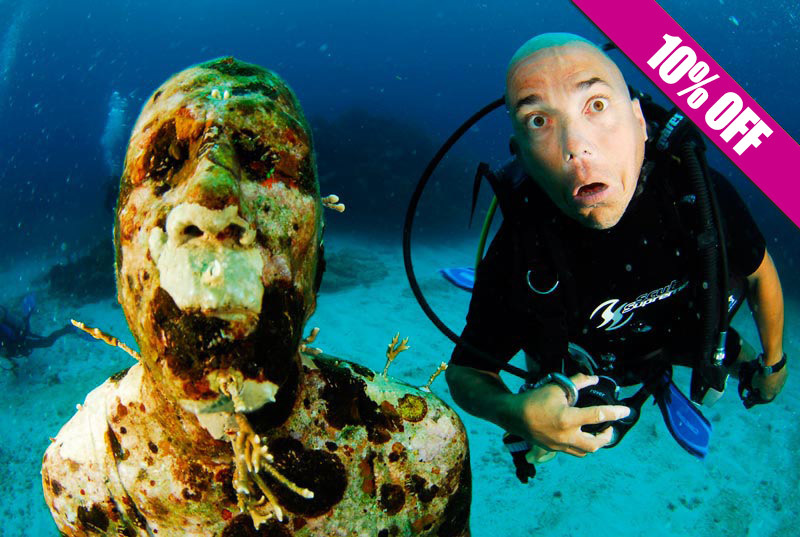 The best scuba diving lesson is this, book now! 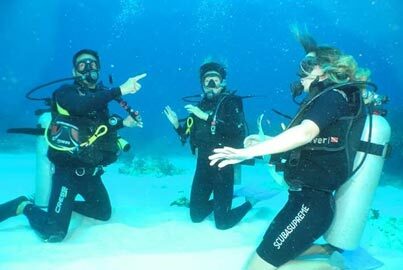 Basic scuba dive lesson by professional PADI instructor. 3 tanks: 1 tank dive in shallow water (approx. one hour), 2 tank dive (1 in MUSA and 1 in Coral Reef). Dock and marine park fee (5 usd. per person, to be payed at check in). Only 10+ years old children. Caution: You can not dive and fly on a plane the same day. 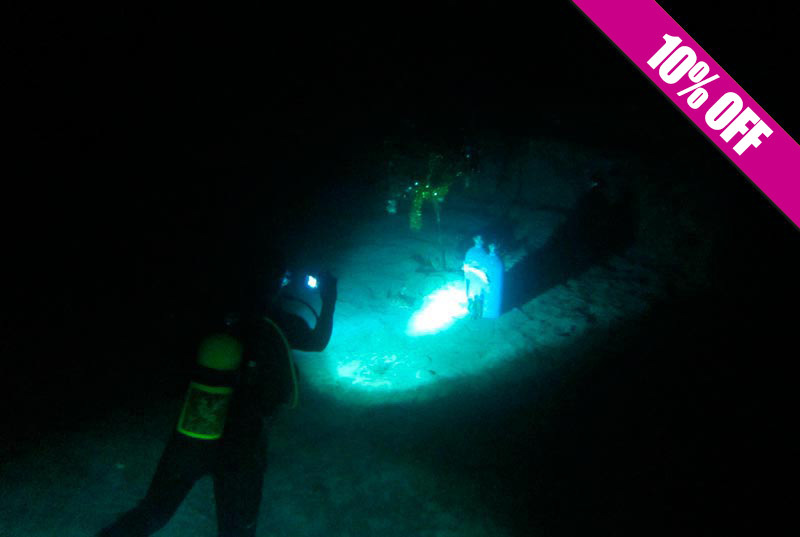 2 tanks Night Time Scuba Dive, ideal for certified divers who like adrenaline! 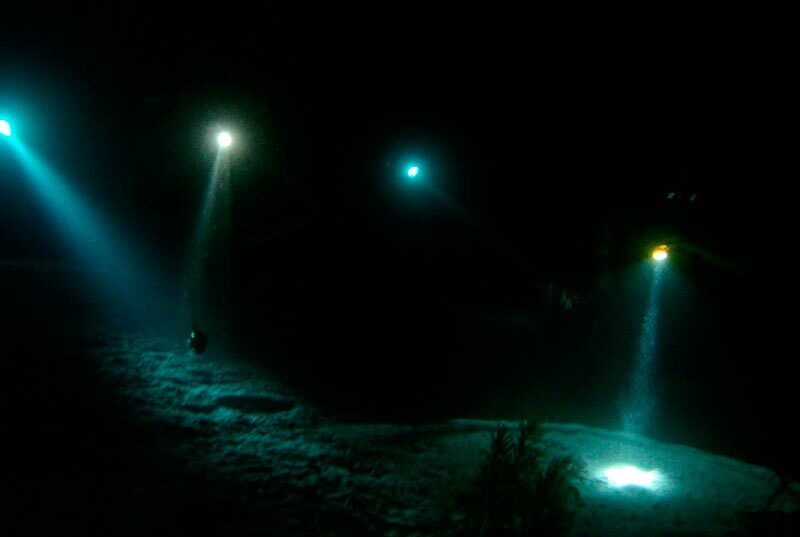 2 dives: 1 at sunset where you'll see how fish go to sleep, and coral reef awakes; on the 2nd dive we'll be on complete darkness with submergable lamps and we'll admire Bioluminiscence. 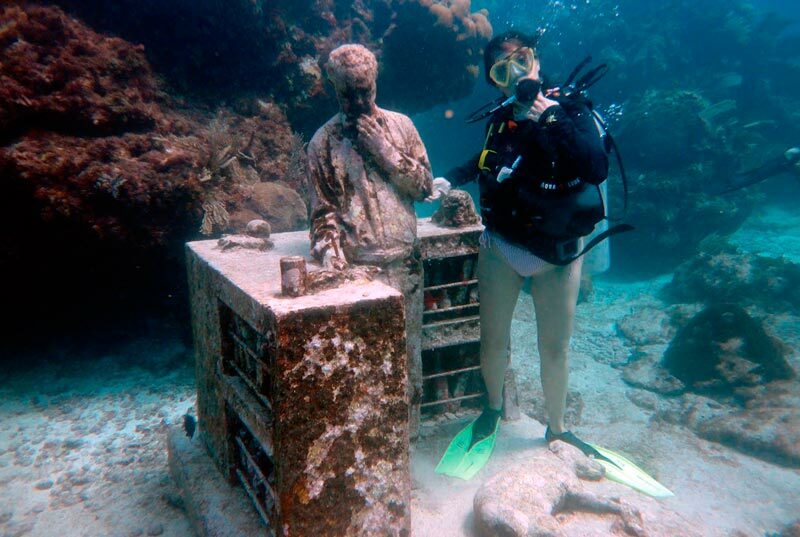 If you're looking for a new diving experience, then this is it. 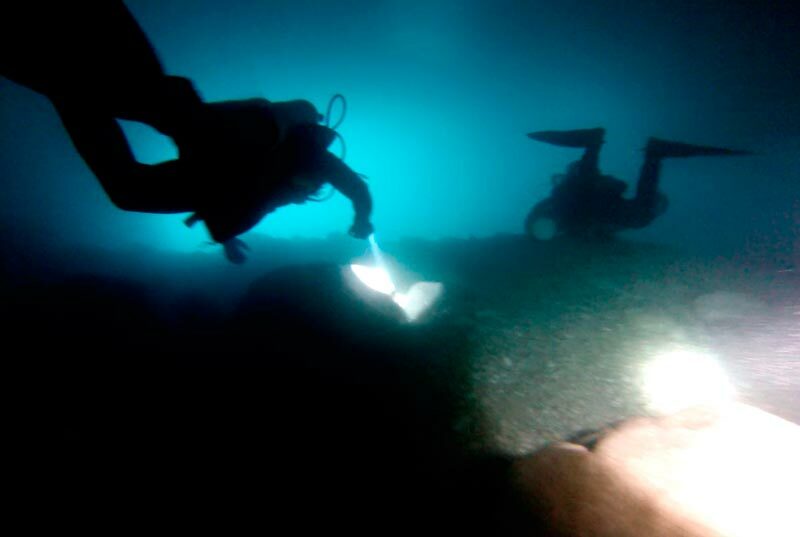 Previous reservation and official diving credential is required (PADI, NAUI, SSY, CMAS). Don't miss the chance, book now! 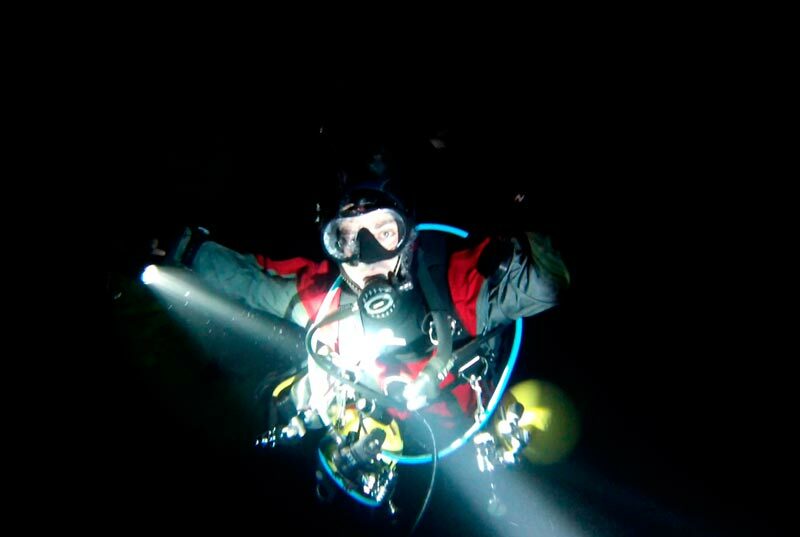 2 dives: 1 evening and 1 night. Transportation from your hotel to departure spot is not included. Dock fee is not included ($5.00 per person). Excludes wetsuit (optional rent for $10.00 USD). Official credential needed (PADI, NAUI, SSY, CMAS).